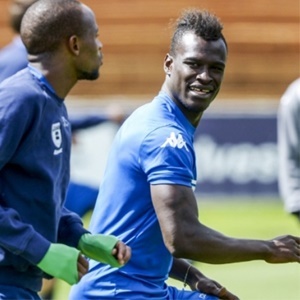 Cape Town - Ghana international and former Orlando Pirates hard-man Edwin Gyimah could be set for a return to South Africa after he started training with Absa Premiership champions Bidvest Wits. The 26-year-old also previously played for SuperSport United and Mpumalanga Black Aces, and can operate either as a defensive midfielder or as a centre-back. After leaving Pirates, the Ghana international surfaced at Swedish top-flight side Helsingborg IF where he played 24 league games, scoring twice in the just-completed 2017 season. But Gyimah could potentially be set to return to South African football and has been spotted training with the league champions in Johannesburg. Meanwhile, Wits are in action this weekend against Kaizer Chiefs in the Telkom Knockout semi-final. Kick off is at 15:30 on Saturday.